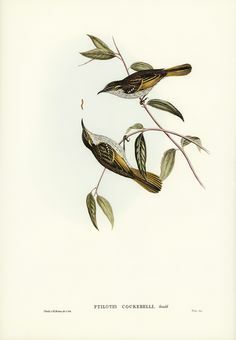 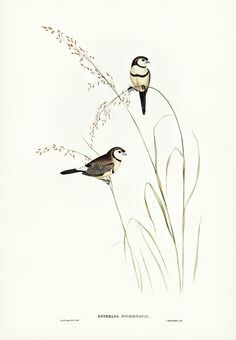 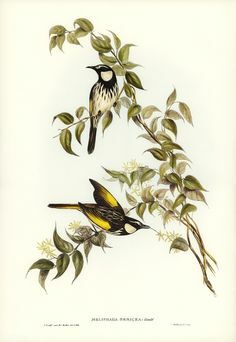 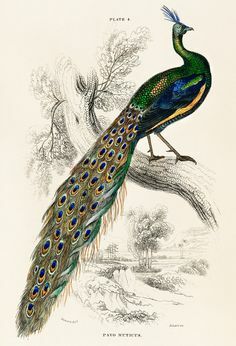 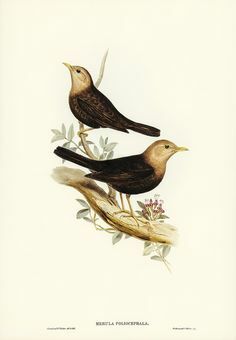 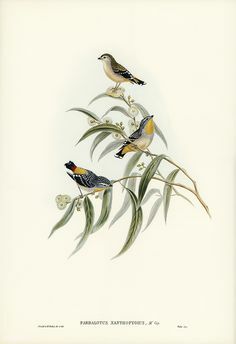 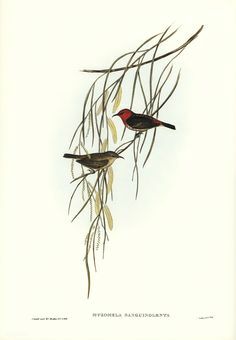 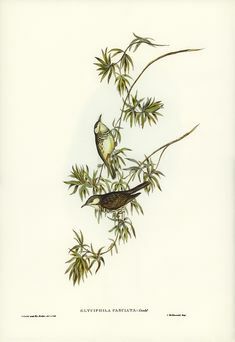 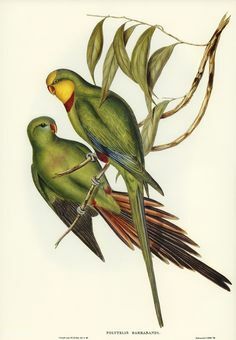 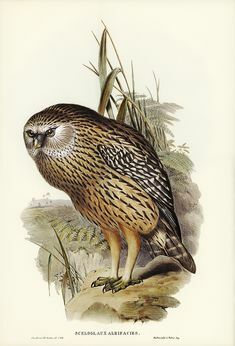 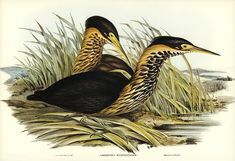 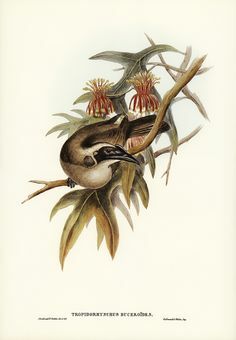 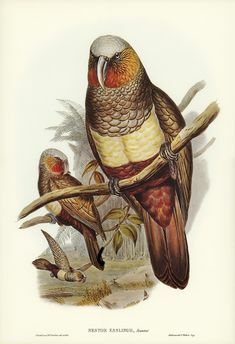 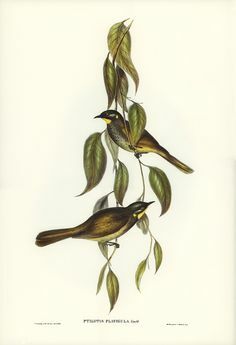 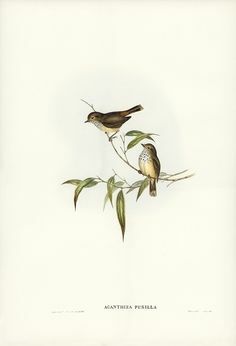 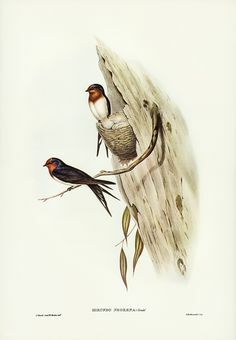 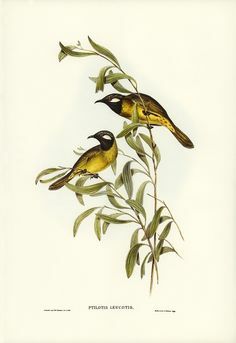 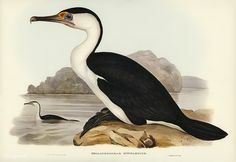 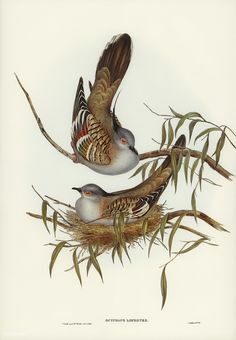 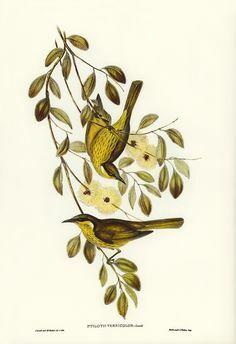 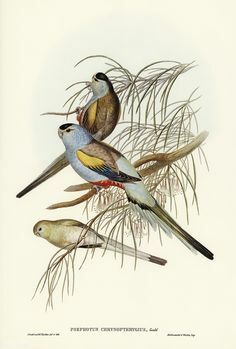 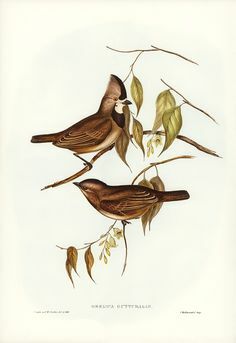 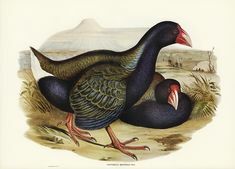 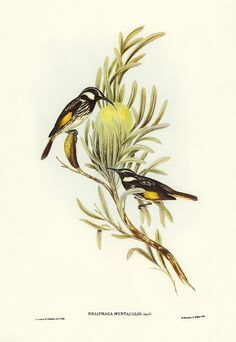 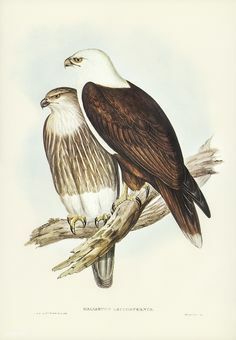 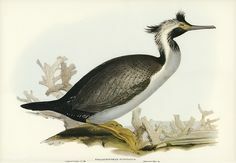 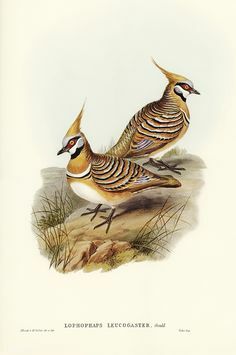 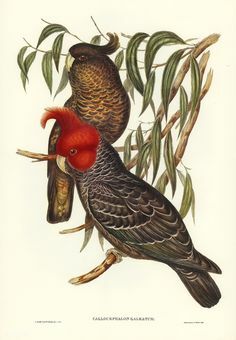 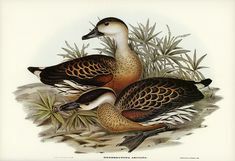 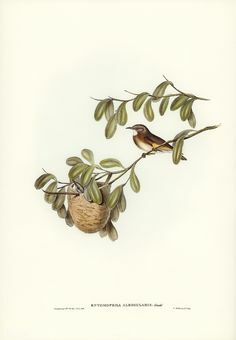 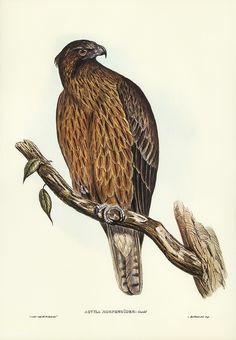 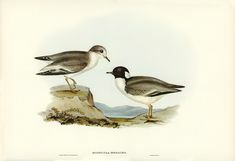 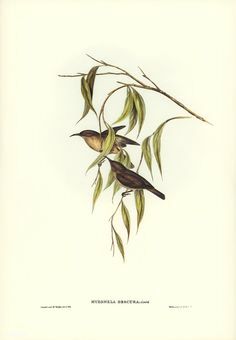 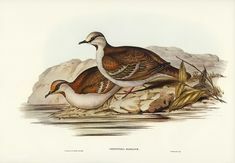 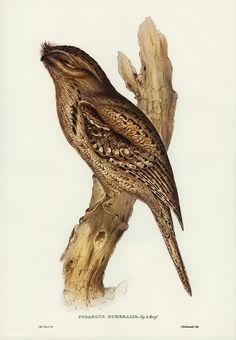 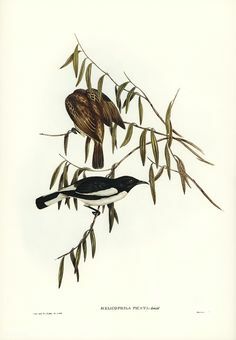 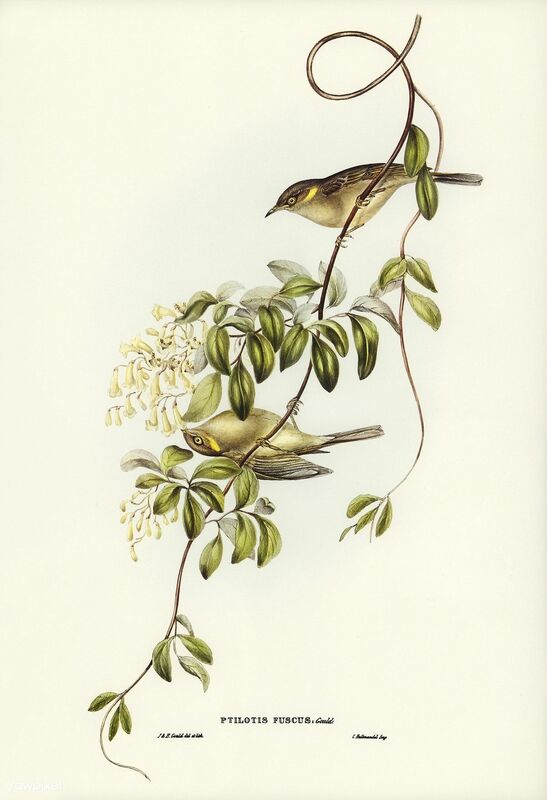 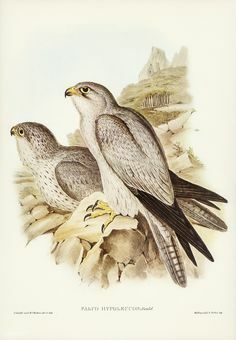 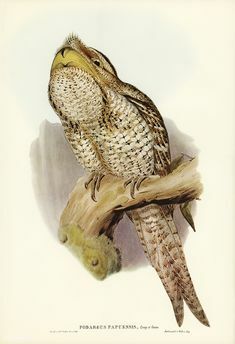 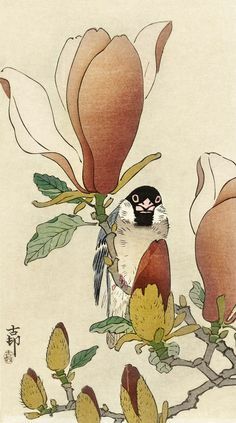 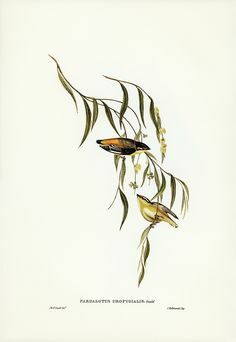 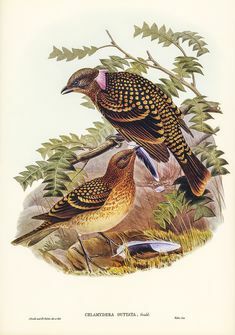 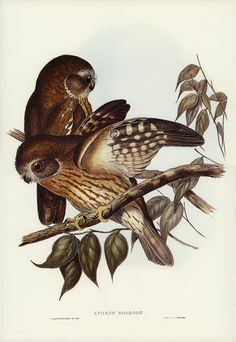 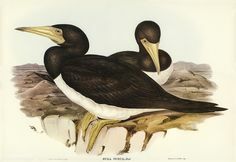 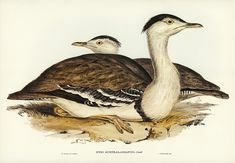 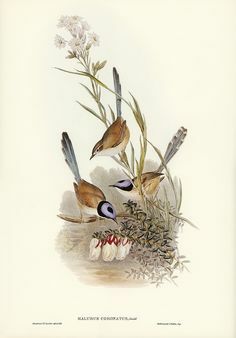 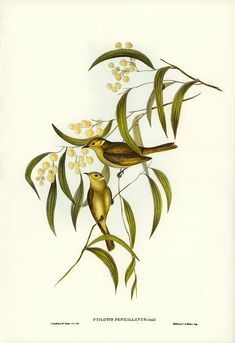 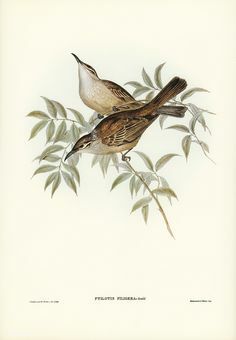 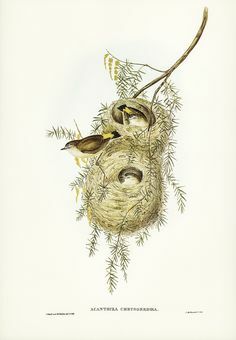 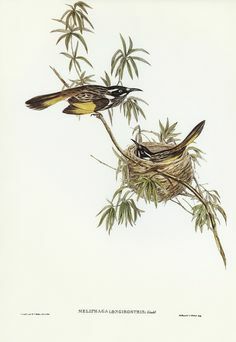 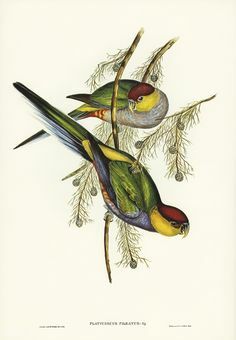 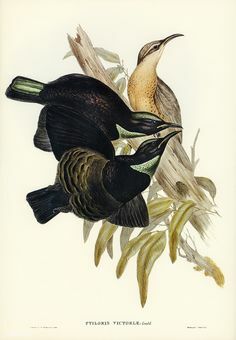 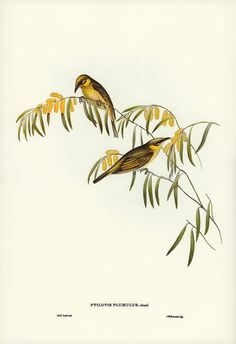 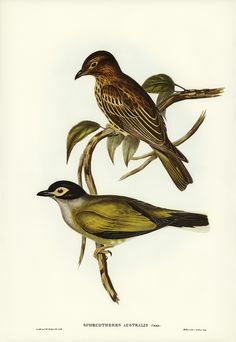 Fuscous Honey-eater (Ptilotis fusca) illustrated by Elizabeth Gould (1804–1841) for John Gould's (1804-1881) Birds of Australia (1972 Edition, 8 volumes). 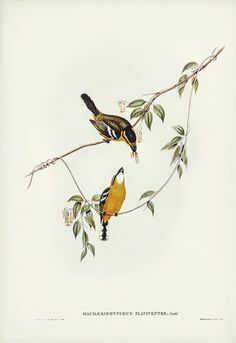 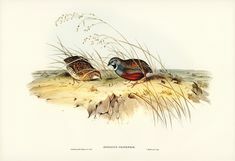 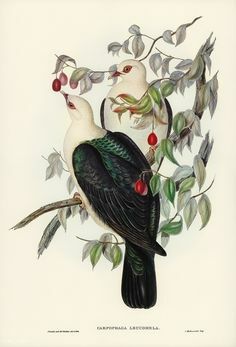 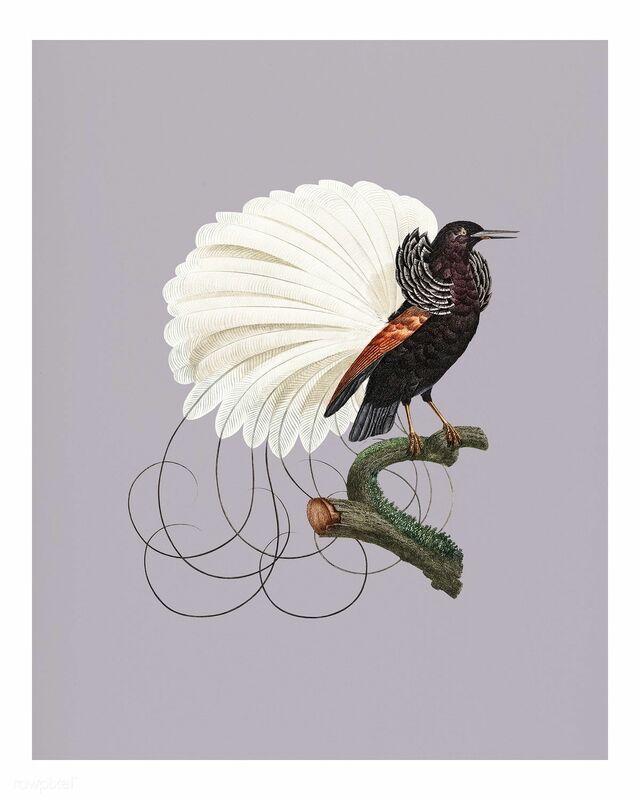 Twelve wired bird of paradise from Histoire Naturelle des Oiseaux de Paradis et Des Rolliers (1806) by Jacques Barraband (1767-1809). 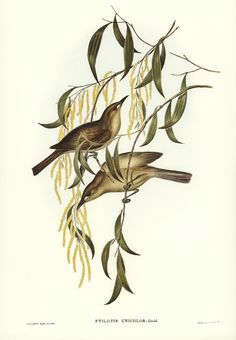 Bower-Birds, Thrushs, Honey-easter, Cuckoos & Tree Creepers etc. 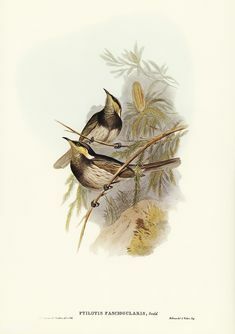 White-gaped Honeyeater Stomiopera (until recently Lichenostomus) unicolor.